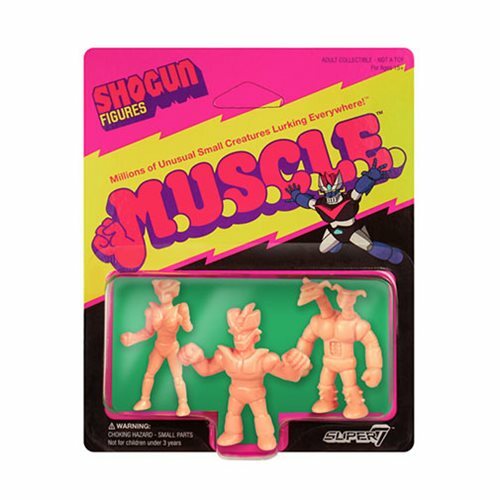 The iconic Shogun Warriors have roared back with Super7 as 1 3/4-inch retro-styled fleshtone M.U.S.C.L.E. Mini-Figures! Shogun M.U.S.C.L.E. Mini-Figures Pack A includes Mazinger Z, Doublas M2, and Aphrodite A. Ages 15 and up.